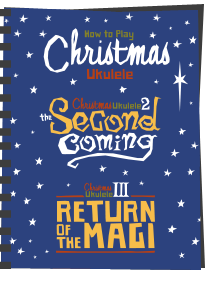 Mixing things up again this week on the Got A Ukulele reviews page, as it's another hand made ukulele review. Added to that it's a type of ukulele I have been meaning to feature more of as it's a baritone. This one is hand made by Paul Barnard at Wildcat Ukuleles and Guitars. Paul was introduced to me recently by another ukulele builder I know well called Kevin Mulcock as he knows that I like to feature home grown builders, and (naturally, because I am in the UK) home grown local builders. There really is a nice connection to getting an instrument made locally - think of it like the importance of provenance in the food business. But of course that makes sense only if the instrument is decent. It so happens that Paul is actually very local to me, now based in the English / Welsh border town about an hour from Got A Ukulele HQ called Oswestry. Perfect. Paul is a fairly recent entry to the hand made ukulele market in the UK and is actually a builder who started making guitars since 2004. Despite calling himself a 'hobby builder' he's actually built a total of 48 instruments at the time of writing, with more in the pipeline. This one is number 26. 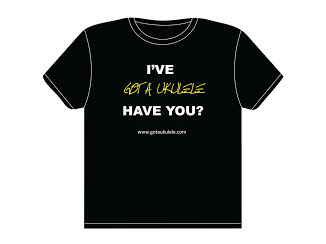 Like several other builders in the UK, he undertook some training with Pete Howlett in North Wales, and that has really turned his focus onto the ukulele. 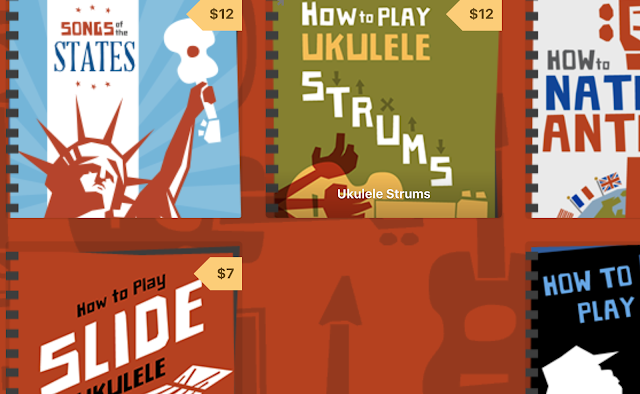 As always, I don't tend to dictate what models brands / builders / stores choose to feature on Got A Ukulele, but I have to admit being delighted when Paul asked to feature a Baritone on the site. I freely admit that I don't have enough of that scale, and believe me - I AM trying to change that. But there we are, and so it was that Mr Barnard arrived at my office with this particular review model in hand. Once again, as I am dealing with a hand built ukulele I have to point out the blindingly obvious. 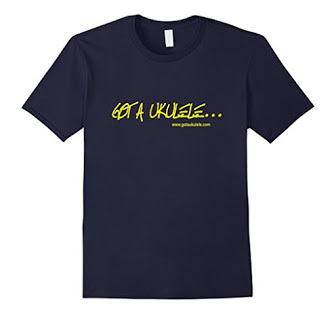 Individual makers of ukuleles can, within sensible reasons, offer their customers a wide range of options and choices. Those options range from the obvious sizes and wood types to the more detailed levels of construction. That can include everything down to the binding materials or even how the binding looks or whether you want something totally unique. Paul falls very much in that category as his owners leaflet that came with this one explains. He can offer a range of details, and like most individual builders exemplifies the joy of going down this route - you are part of the process. You may think that poses something of a challenge to me as a reviewer. Actually not so. My take on this is simple. Like with any individual builder - this is a review of this particular example only. Call it a showroom or example piece if you like. You might not like elements, but that doesn't mean you couldn't specify something completely different. So if anything, what you need to take from this review more than anything else are my comments on the important stuff. Quality of the build and quality of the sound that the thing makes. That's what matters. Right, boring stuff over... let's get under the hood. This example is built in the baritone scale as I say, but I was acutally surprised by it when I first took it out of the case. Sure, it's a baritone scale length but the body is nice and diminutive and a little narrower across the face than a standard. A lot of baritones I see have massively chunky bodies that I find always actually put me off a little. The look like 'little guitars' for want of a better phrase. Yes, this one is a double bout shape ukulele and yes, that has echoes of guitar, but it still immediately struck me as being a little more slight in stature. I find it first reminded me of a smaller parlour guitar. Sorry to focus on this one element so much so early, but dimensions matter, and I really like the shape, size, scale and overall relative dimensions of this one. So we have a double bout instrument, but it's certainly a striking build in every way. The top is made from two pieces of solid european spruce. The sides (two pieces with a maple inlay at the joint) and flat two piece back are made from solid black walnut. It's a visual contrast that works well in stringed instruments, and for that reason is perhaps not immediately 'different' or 'unusual'. But that's no bad thing. Paul also makes guitars and I suspect knows what makes for a good looking and balanced sounding instrument. As always with this sort of mix is a brighter, snappier sound from the spruce mellowed out by the darker sounding back and sides. It's complimented though by a range of decorative aspects that remain sympathetic to the rest of the design throughout. We have maple top binding with black and white purfling that works well, and a beautifully inlaid sound hole made from more black walnut. The maple binding is also repeated on the back which is another nice contrast to the darker walnut. Nothing so far is jarring with my visual senses and it is working together very well. One other thing Paul has added is a clear thin scratch plate to protect the spruce. So clear and thin it's next to impossible to show it in the photographs. 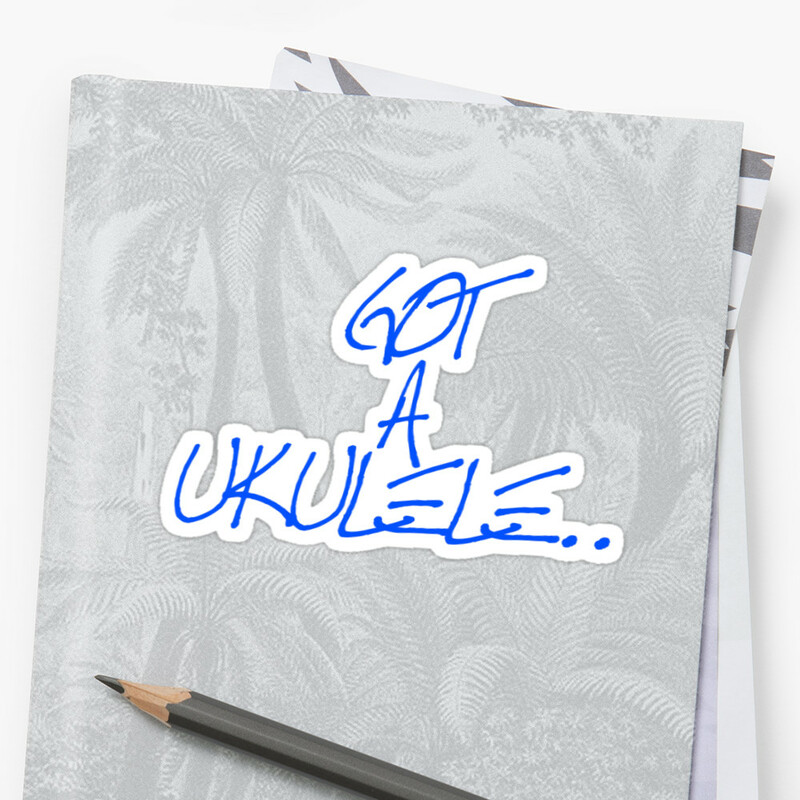 I don't really like scratch plates on ukuleles, but again, this would be an option you don't have to specify so it's no big deal. The bridge is made of East Indian rosewood and is a through body style. It's a style I have reported on before as something I am seeing more of, and I like them. If you have a real aversion to them, Paul can offer an alternative, but I honestly don't see why you'd need to. It's also very nicely shaped and fitted with a straight and low bone saddle. Nice. The whole body is finished in a compex finish of grain filled epoxy followed by shellac and further coats of minwax satin poly. Either way it's super smooth yet isn't too shiny and I really like it. Sorry to use that 'tactile' word again, but that's what it is. It's not rough like some satin finishes, but equally isn't grippy or sticky like so many glosses can be. It's very well done and looks great. Other than that on the body there's not much to say other than the strap button. Oh, and the side sound port. This is an option from Paul and an element I get asked about regularly. I am not against them in any way whatsoever, but personally have never been wowed by them. Lets just say I have never played a ukulele with a side port and felt that I must have them from that point on. If you like them - that's cool. I don't NOT like like them, they just don't move me either way. Like I say though, it's an option. One great thing about a side port for a reviewer though is it allows me a better look inside to show me the quality of the build. Paul need not have worried here. 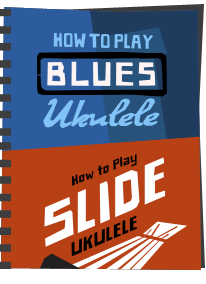 This is a very tidy ukulele with absolutely no mess. The back braces are made of mahogany and the top braces are spruce. For the top, Paul has used a fan layout below the sound hole down to the bridge. There is also a makers label with number and build date, and Paul has signed one of the top cross supports north of the sound hole. I can't say the bolt on sapele neck is all solid because he has employed a triple 'skunk stripe' running right down the length to the headstock. It's made up of a strip of maple edged on either side with black walnut. The heel cap is also topped with what looks like more walnut. I love the look of a stripe like this particularly where it runs through the headstock. The profile of the neck is nicely shallow too running up to a 37mm nut with that it around 29mm from the first to fourth string centres. The neck is topped with more rosewood and is edge bound with maple strips which again work to balance the dark versus light look throughout the instrument. It's also slightly radiused which means it has a deliberate curve across the top for more comfortable play. Nice We have 18 frets in total with 13 to the body joint. I normally see baritones joined at the 14th, so that's an interesting diversion. This is still very much a baritone though with a 20 inch scale length. Naturally those frets are all dressed very well with no sharp edges. Outward position markers are provided by mother of pearl dots at the 3rd, 5th, 7th, 10th, 12th, 15th and 17th and these are complimented by side dots in black against the pale maple. The headstock employs a really nice slimline, swoopy shape that I very much like and is faced with black walnut on the front. Simple but effective. It's also really nicely shaped on the back with a kind of a heel before you get up to the peg head proper which reminds me of the back of the headstock on the Godin Multiuke. Tuners are made by Leader and are sealed chrome gears with small black buttons. No complaints from me here. He strung this one with a D'Addario Pro Arte Fluorocarbon set, modified with a wound G also on the 3rd string taken from a Titanium set. So like most baritones this has two wound and two unwound strings, much like the bottom four strings on a guitar with which it shares it's tuning (this is in low D tuning) And that package in this sort of specification comes in at £600, with his range of baritones being between £550 and £650 depending on what you specify. That really is a pretty decent price for appointments like this on a hand made baritone. And what a build it is. I think you can tell from my description above that I very much like the look of the instrument. 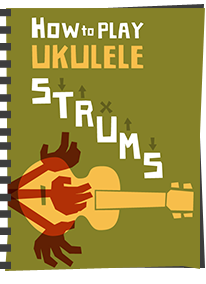 So often builders, both factory and luthier can be guilty of 'throwing the kitchen sink' and a ukulele to show off their skills, but they can often end up confused and not working together as a whole. You know the sort of thing - where bindings and inlays change in different parts of the insrument and don't match. Not here. That 'dark and light' mix of the spruce and walnut is repeated consistently elsewhere in bindings, edgings and the neck stripe. It all repeats well and nothing looks out of place. And the construction is simply flawless. I really cannot find a single thing wrong here. It's put together extremely skillfully. It's also not over heavy (another thing that can plague baritones) and is well balanced. And it would therefore be a crying shame if it didn't play well. You need not worry. This is an absolute delight. Firstly its wonderful to hold and that wide and radiused fingerboard and wide nut makes play supremely comfortable. It has volume and sustain in absolute spades. This is a baritone that has come closest to the sort of projection and lasting sustain you would only really get from a guitar and that makes it an absolute hoot to play. The sustain warbles and shimmers, almost making you want to pick it slowly just to savour the lasting sound. Strummed I find the notes are all in place and each are totally clear in the mix and is just perfect for knocking out folky and, for want of a better word, acoustic guitar driven tunes. The interaction between notes when played together is really pleasing. I think playing it picked though really shows it's class with achingly long sustain and a really pretty chime to the notes that ring out and really put a smile on my face. A more accomplished player of a spanish guitar than I am could coax some really pretty passages of music out of this one. It's terrific. I really am finding little if anything to dislike here and put this down as one of those great moments in Got A Ukulele reviews where I get the pleasure of experiencing the work of someone who is clearly a great craftsman. Paul really knows what he is doing building these and has an eye for quality of construction, classy looks and, of course, getting a good sound out of the instrument. A total joy, and another name added to the roster of hand made ukulele builders you need to take notice of. If you are in the market for a specially made instrument you really need to check out these Wildcats. A 'hobby builder'? He's much more than that. VERY highly recommended. I was drooling over the "Wildcat" stand at the "Meet The Ukulele Makers Festival" in Snowdonia a few weeks ago, Barry! Very reasonable prices for very good quality instruments, lovely to play and they sound great. What a nice guy Paul Barnard is too. If I was going to be commissioning direct from a maker, having conversations about the specifics of a build then, having narrowed things down in terms of price, availability and quality, the deal-breaker would be how easy or stressful I thought that process might be. Having met Paul at MUMF, my guess is that customer service would be good and that he would try to make the process smooth and enjoyable. Hi Liz I've taken the plunge and can confirm that the process so far has been smooth and supportive with Paul helping me research some potential options I asked for. Paul is fitting a passive Fishman picku for me as part of the build so he'll take care of setting up the action instead of me retro-fitting it. Mine will be black walnut body with sitka spruce topboard with a multi-wood rosette. Paul is fitting a carbon rod in the neck and setting it up in LowG GCEA in the first instance. Not classic baritone but the point is it'll be mine and thats how I want it. Hopefully it'll deliver the full package of sound and looks when I finally get my hands on it. Hi Barry, I've just ordered a Wildcat European spruce and walnut baritone ukulele on the strength of your review. It looks and sounds a fantastic instrument. The only changes I have made from the one reviewed is to have no sound port or strap button. I am also looking at other options for the fretboard binding and string selection. I have also asked for Grover tuners. I'm sure it will live up to your review and I can't wait to get my hands on it.